Insanity: doing the same thing over and over again and expecting different results. 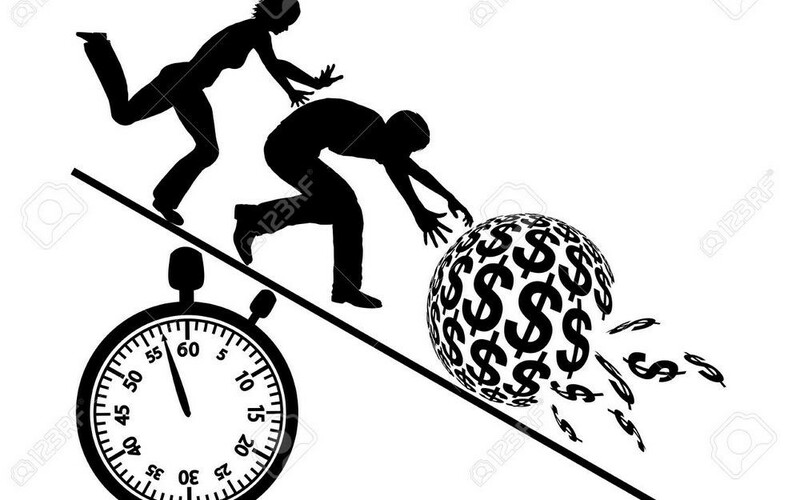 The ‘rat race’ is a scramble to get more financially and working tenaciously with little reward. The illusion that the job will get better someday makes Jude sit and not look for alternatives, while responsibilities and bills continue to pile up. People rarely think they should change their job or are often unable to look for another job even when it is obvious that their current job is leading them nowhere. That is why you see people on the same level without growth in their career, while they watch others come and go. The ‘rat race’ keeps such people at a place where they are scared of the future, scared of ending in poverty and all they can think of is, “how will I get more money to pay my bills? Who will I borrow from?” Surprisingly, some people actually do love the ‘rat race’ because of their belief that it is what will save them from financial distress. But it never leads to financial freedom but makes them work endlessly with little or no reward. A salary may be the problem. Salary boxes people into corners where they solely depend on it with the hope that it will solve their every money problem. They get paid only once in a month, which means that they get paid only 12 times a year, which also translates to 12 times in 365 days. While money is spent almost every day, perhaps even having to borrow against the unearned salary. N20, 000 and N7, 000 on a bad day. So if you decided to be a barber, braid hair or even clean, you can make a minimum of N6, 000 every day. Let’s look at the figures taking an average of N13, 500:13,500x30x12=N4, 860,000. This means you will be netting about N4.8m annually. And you have the potential of making more if you hire say two or more people to join you. The fact is that many people who have worked in corporate organisations for years do not earn up to N4.8m a year. Make a decision to be the captain of your ship and the master of your life and pursue your quest for financial freedom and quit the unending ‘rat race.’ You do not have to wait to hit the jackpot first but you can begin to let your little grow into a business that can free you and guarantee you a better financial future. You must be proactive and urgently develop another source of income and nurture it until it grows. Be assured that it will not happen overnight because there is no such thing as overnight success. But with focus and determination, you can build for yourself a business that not only pays you good money, but one that you will also enjoy doing.